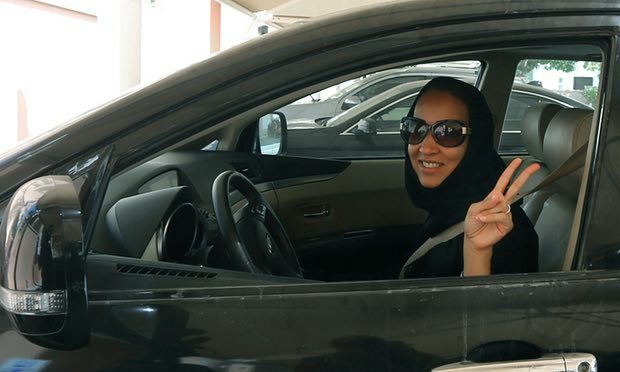 In 2011, as the Arab spring brewed, I began a campaign to allow women to drive in Saudi Arabia, mobilising them via Twitter and Facebook. Saudi women rarely wear anything but black abayas in public. When I saw Wajeha in pink, I giggled, thinking that she was even more fearless than me. No doubt, she was thinking that if we got arrested, at least she would look stylish. I drove neither fast nor slowly, but I could feel myself looking at the familiar streets and buildings that I had never seen from a vantage point other than the passenger seat. I couldn’t help glancing in the direction of the police station as we passed. It was the same place where two days later I would be detained.